It's been a while since I wrote a frittata post, but that does not mean I have not been making them. Au contraire, mes amis. I am still averaging one a week, although this weekend I changed it up and made flaky buttermilk biscuits, yum! I made this frittata a few weeks ago with some goodies I got at the Green City Market, and it was another success. The pattypan squash made it moist and added some sweetness (yes, sweetness), and the red pepper provided a boost of flavor. I have found that frittatas are a good flavorful way to get more greens in my diet. I try to pack as many vegetables as possible into the egg mixture. It makes for a satisfying breakfast and is tasty at room temperature, so it travels well. Much better for you than anything you could get at a fast food restaurant. 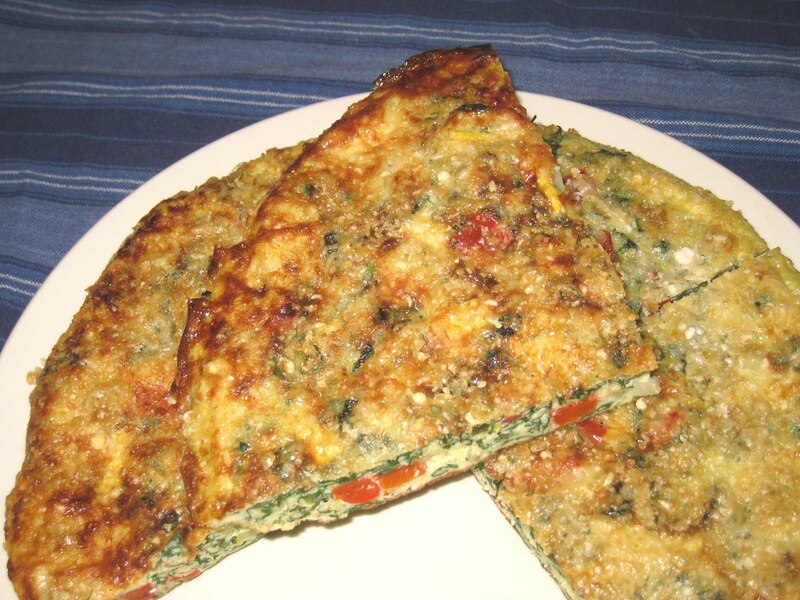 See how to make a frittata here.